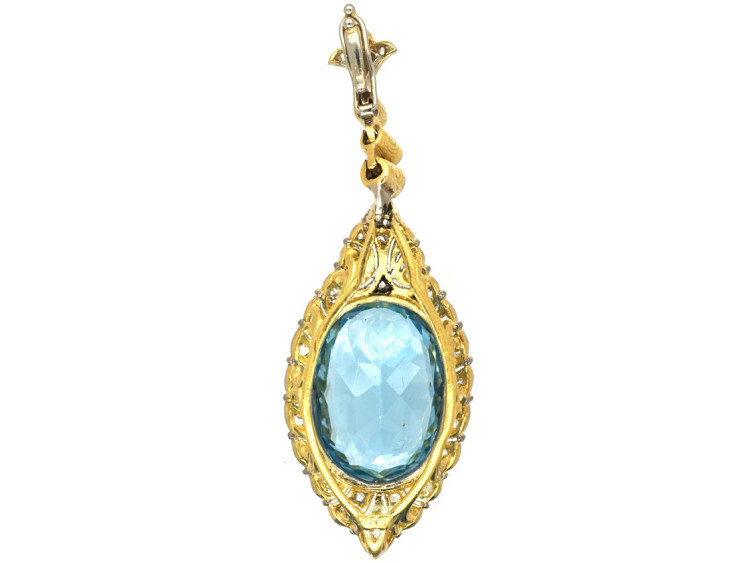 A very stylish 18ct gold pendant with a platinum front. 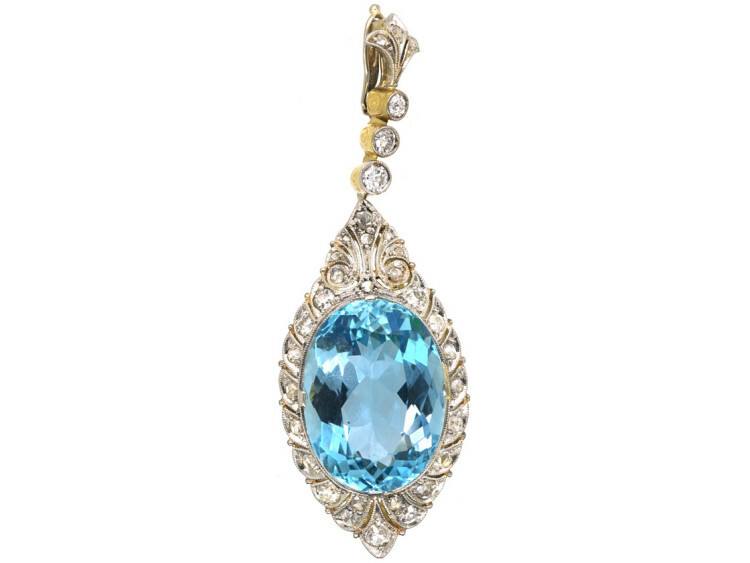 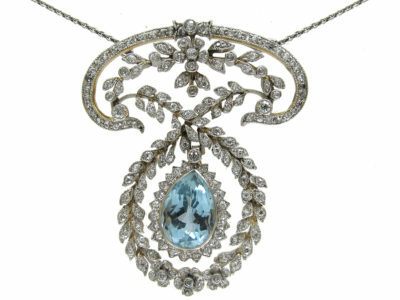 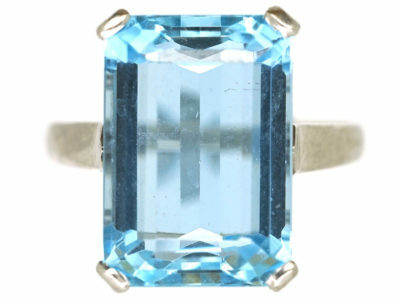 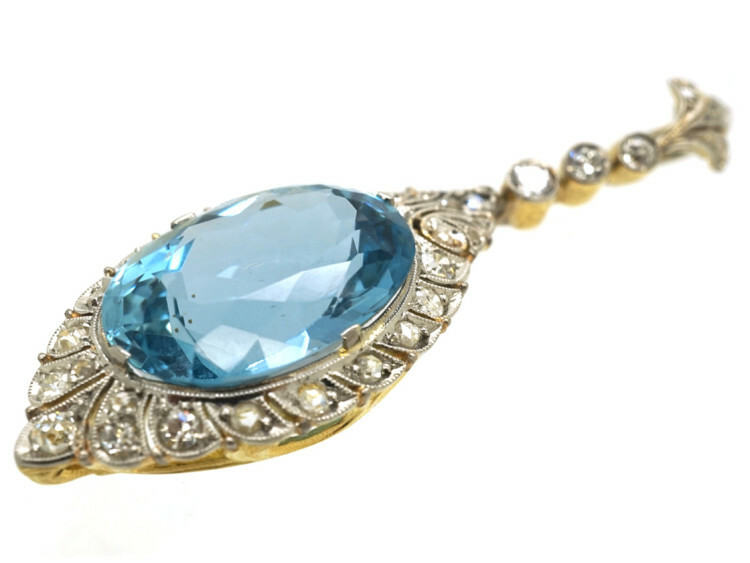 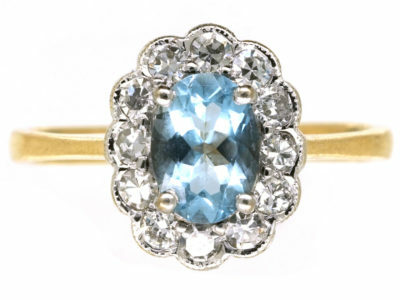 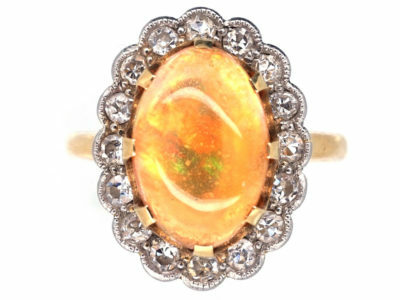 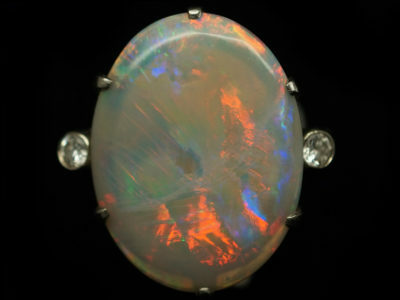 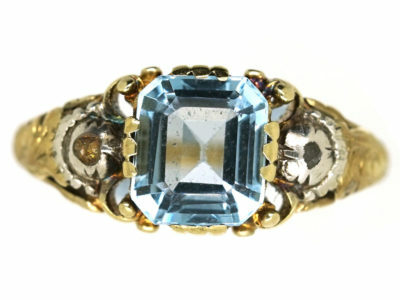 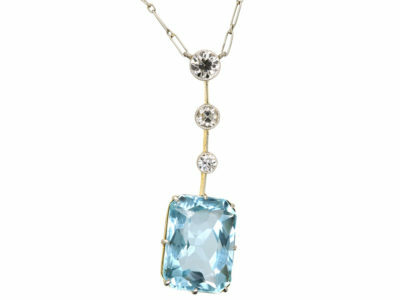 It has been set with a large oval aquamarine. 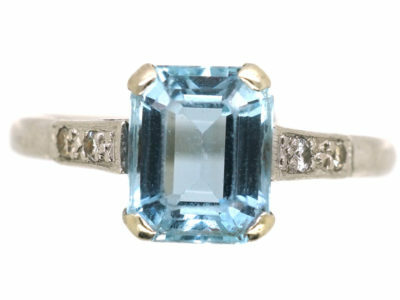 Around it are a mixture of transitional cut diamonds and rose diamonds in pierced settings. 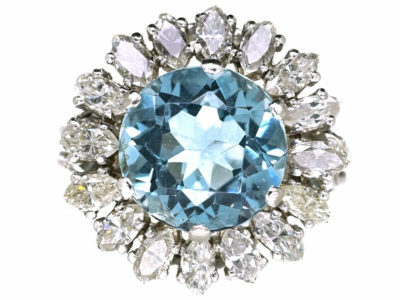 Above are three diamonds with a fleur de lis bale. 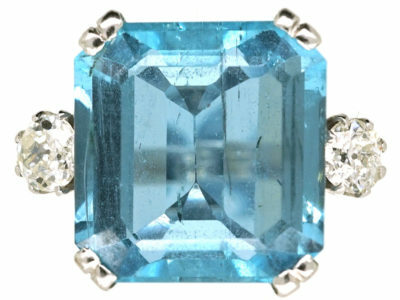 This is very secure as it has a clip fitting. 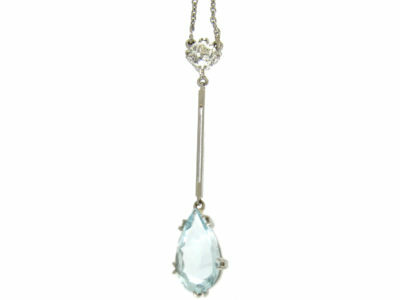 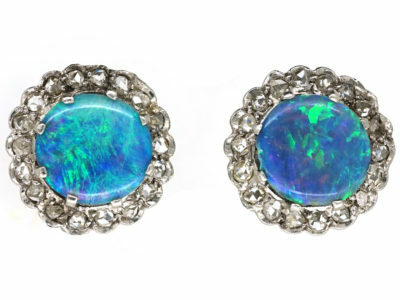 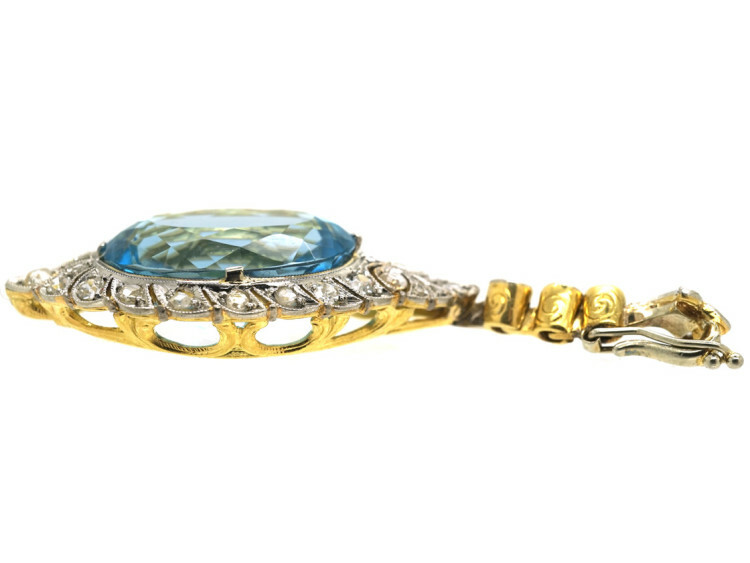 A beautiful piece of jewellery for lovers of aquamarines!